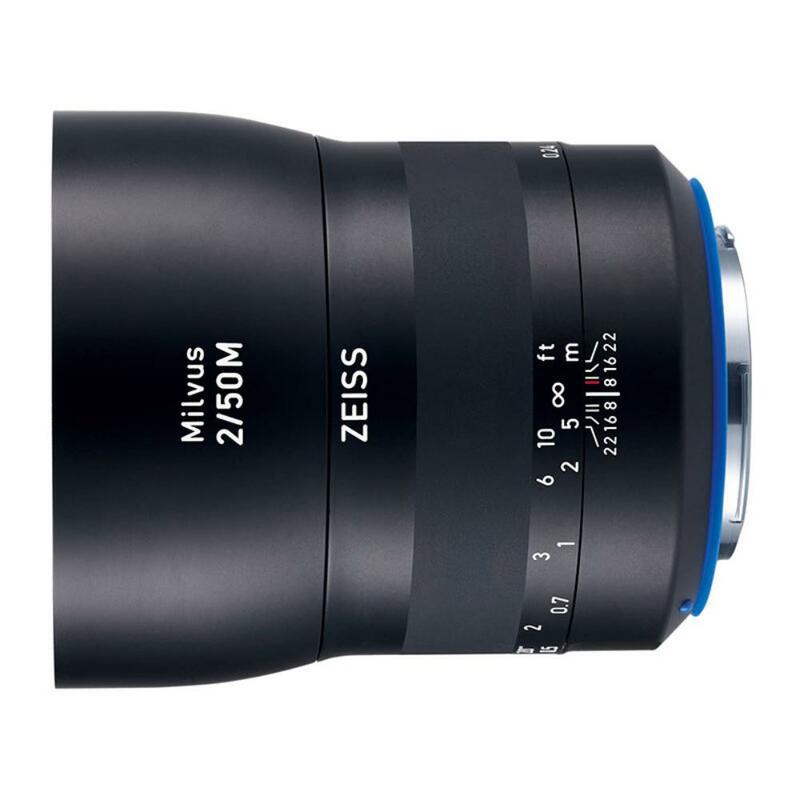 The Zeiss 50mm f/2 Milvus ZE for Canon features a modern design with an all-metal barrel and a frosted, anodized surface for a functionally stylish feel. The "standard/normal" focal length is well suited for portrait and street photography but, unlike the Zeiss 50mm f/1.4 Milvus, this 50mm is designed specifically for closeup work with a closer minimum focusing distance and a 1:2 maximum reproduction ratio along with printed magnification scales on the barrel. It is a manual focus only lens that sports a comfortable rubberized ring for precision control over your focus along with a de-clicked aperture ring for silent, step-less f/stop adjustments – a perfect feature for videographers. The Zeiss 50mm f/2 Milvus can be paired with both full frame sensor cameras, such as the Canon 5D Mark III, and with crop frame sensor cameras, such as the Canon 7D Mark II. The focal length equivalent on crop frame sensors is 80mm. Weather sealing allows you to shoot in almost all conditions. This lens is ideal for macro shooting, fine art work, street photography, events, candids, documentary work, and every day shooting for photographers and videographers alike.